As Alyssa Mowry finished singing the national anthem and the starting lineups were introduced on Wednesday, January 16, the Pioneers began what would be one of their easiest games of the year. 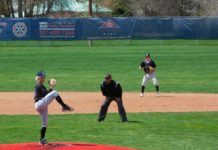 The Uintah Utes, the smallest school in the region, were in town to play the Lehi Pioneers and they had not matched up well with other Region 10 schools. The Pioneers started out strong scoring 31 points in the first quarter. Eight different players scored in the period and by the end of the first half, the Pioneers were up by 29 points. Throughout the game, Coach Yeager was able to substitute freely and as a result, all 15 players on the Lehi roster scored in the game. Kevin Winsor led the Pioneers with 18 points and no other Lehi players scored in double figures. To score 93 points in a game and have only one player in double figures is a rare statistic in high school basketball. The win puts the Pioneers at 8-7 for the season and 3-1 in region play. In the JV game, the Pioneers won by a score of 70-38. The sophomore team also won. That score was 54-27. The Lehi Pioneers boys’ basketball team played the Orem Tigers at a retro-themed Region 10 game on Friday, January 18. 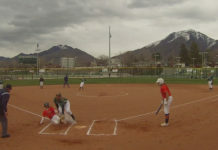 As Always, Orem was a challenging matchup for the Pioneers. The Tigers led throughout the game, but Lehi was able to keep it close. The Pioneers were down by eight points at the end of the first quarter and again at half time. 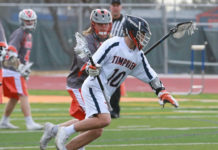 They were able to hold the Tigers to just nine points in the third period and were down by just two points going into the final quarter. 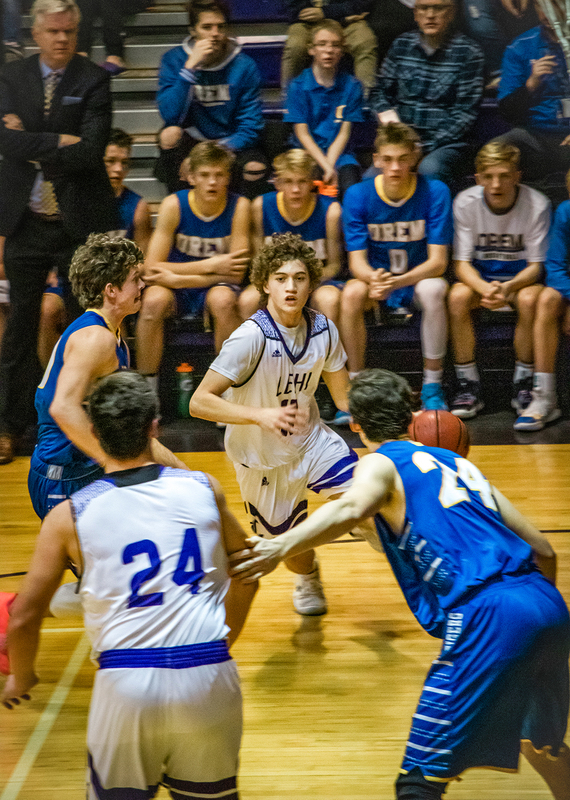 Kevin Winsor and Noa Gonsalves scored all of Lehi’s 18 fourth-quarter points, but the Pioneers came up eight points short in the end. Winsor led Lehi with 26 points and Noa Gonsalves added 10. The Lehi JV had an easy time winning their game against the Tigers 77 to 46 While the Sophomore team came up short 73 to 65.